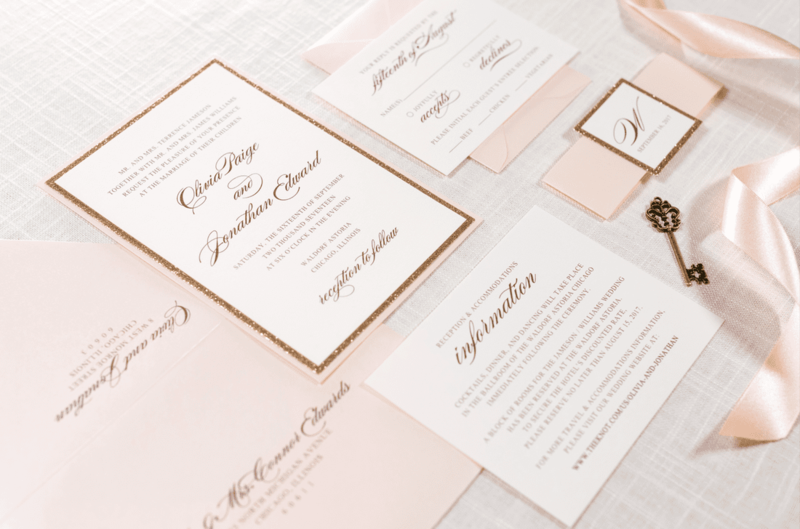 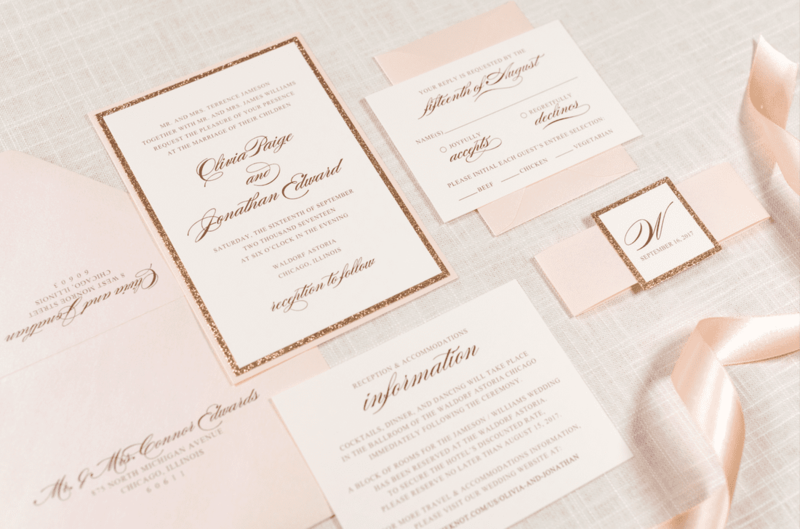 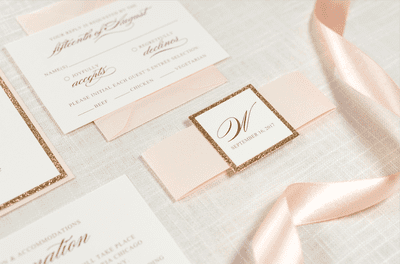 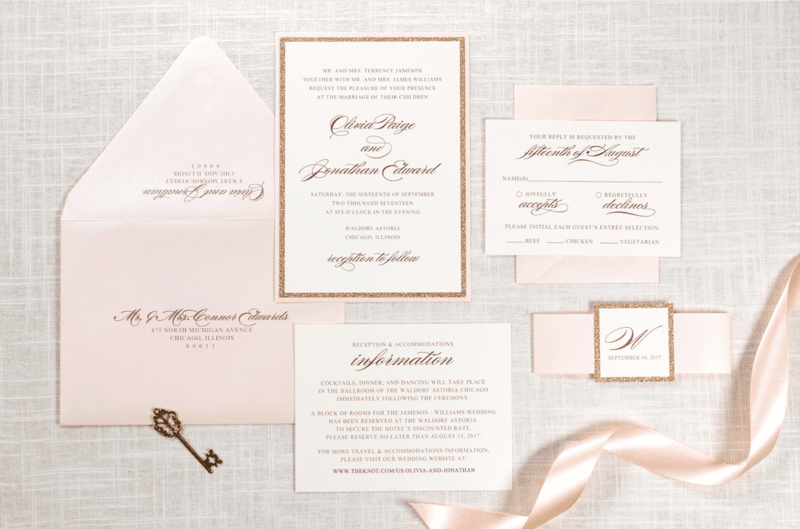 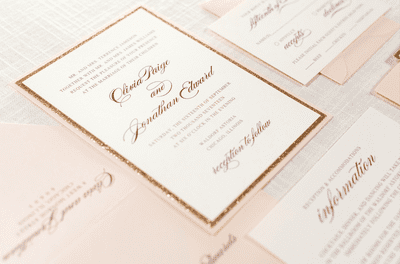 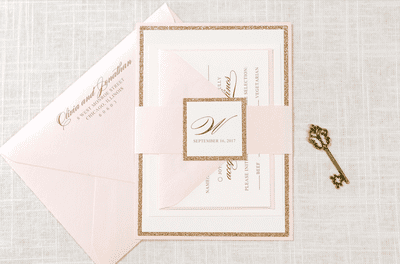 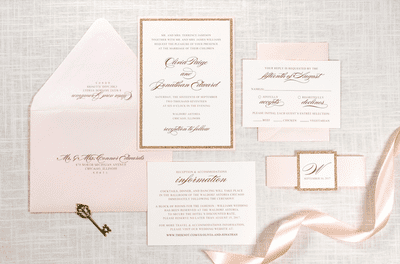 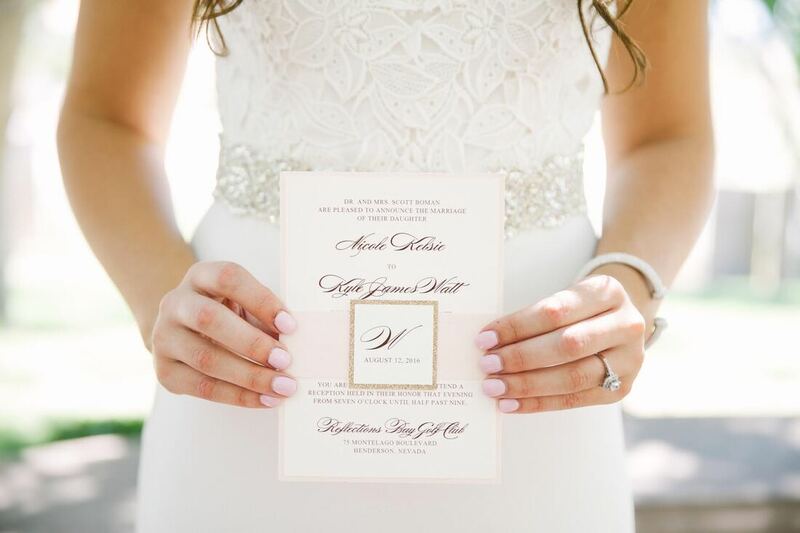 The Darling invitation is printed using the digital printing option. 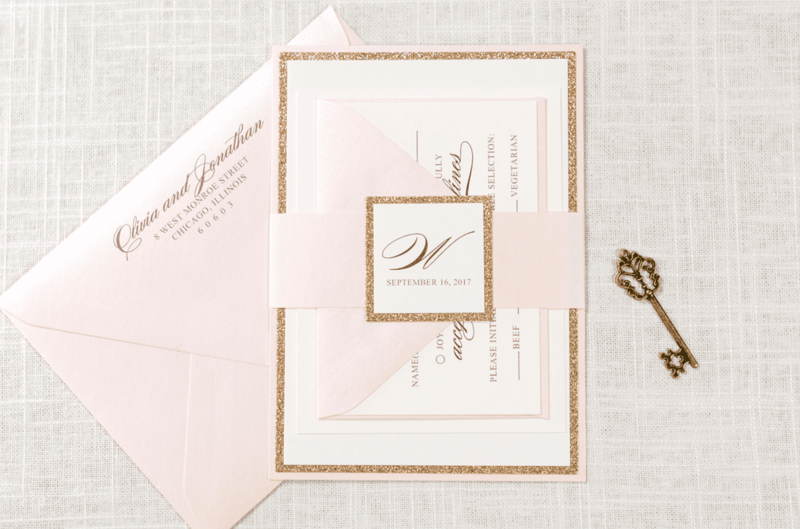 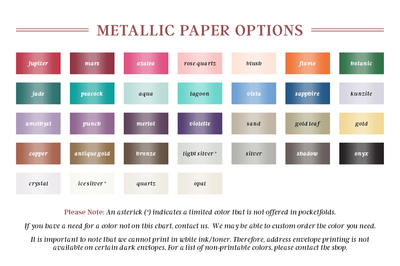 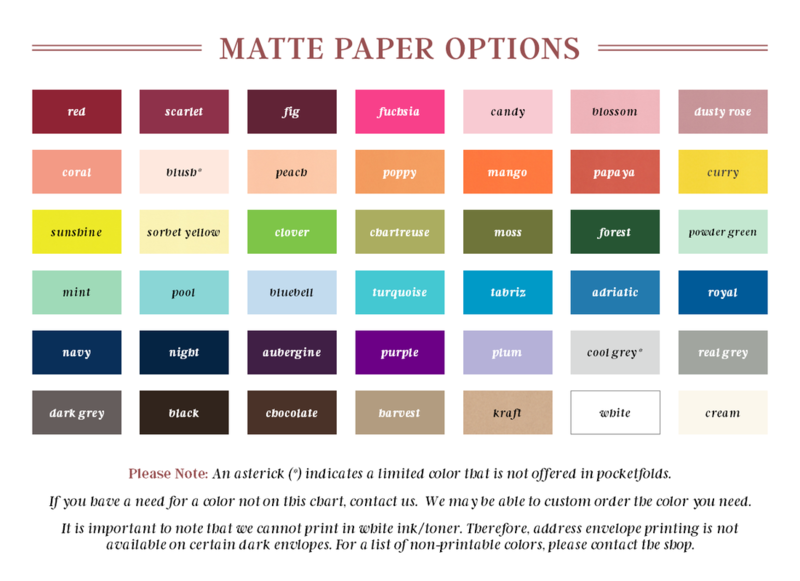 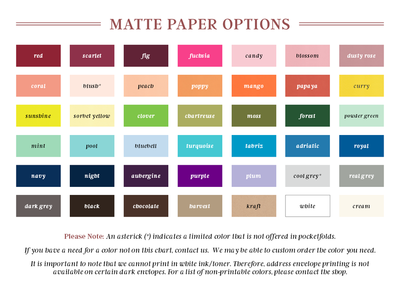 Purchase a sample of this invitation design by clicking the button below and selecting "Darling" from the dropdown box. 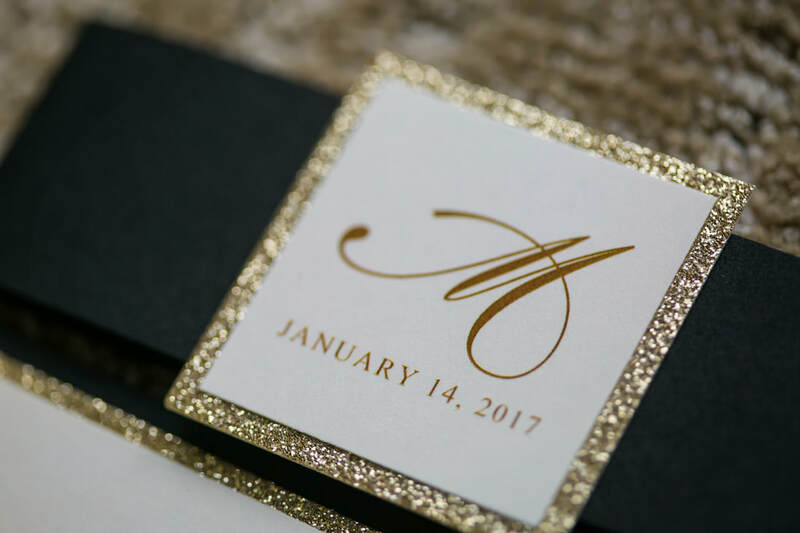 For a list of upgrades and embellishment options, please download our Pricing and Embellishment Guide which includes pricing on additional features such as Insert Cards, Envelope Liners, Monograms, Wax Seals and more. 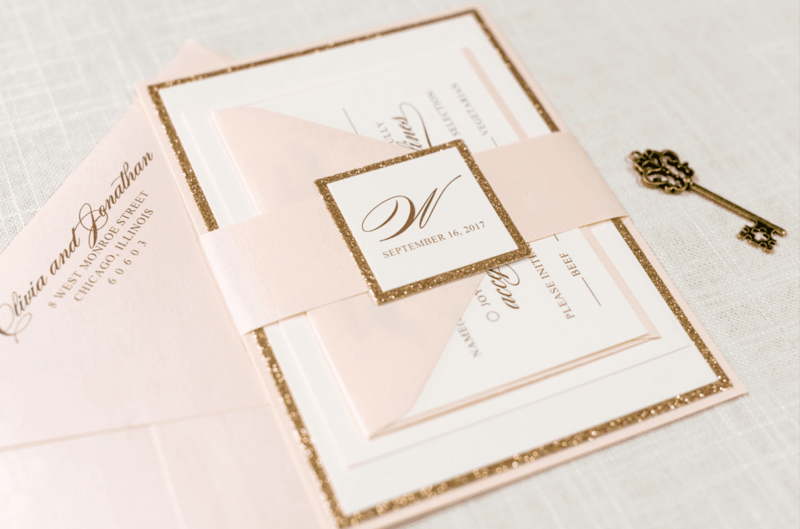 ​Please contact us if you need a especially large amount of invitations (300 or more). 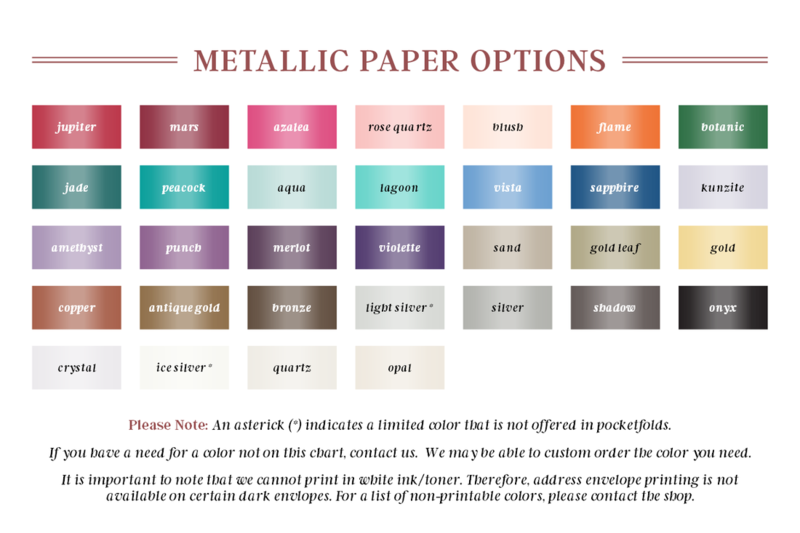 We can discuss our bulk pricing discounts. 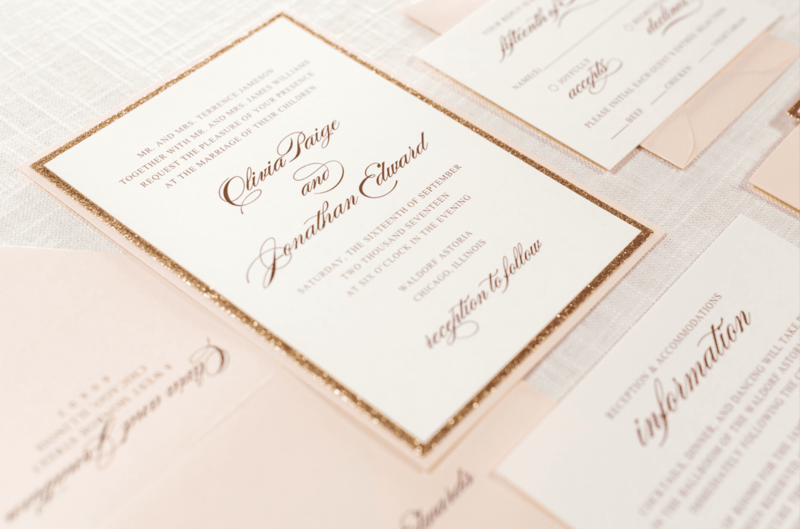 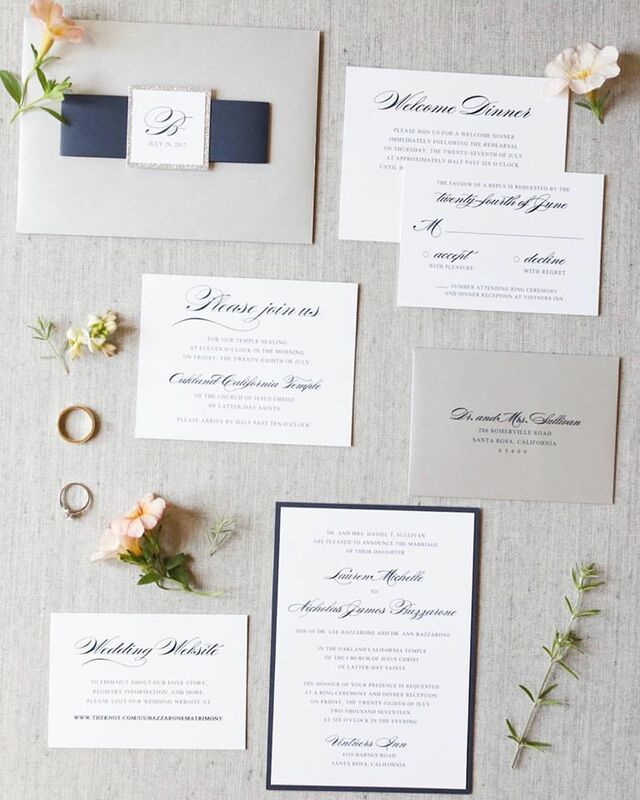 Take a look at how some of our clients customized the Darling design for their wedding.